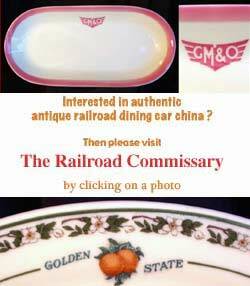 Welcome to The Railroad Commissary's B&A Broadway silverware supplementary information page. Please feel free to send questions or comments to: rrcomm@sonic.net Relevant information, and credits, will be posted. As many have seen over the years, "B&A"-marked Broadway flatware has been attirbuted to the Boston & Albany RR. 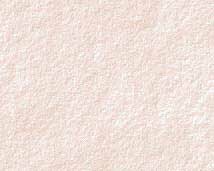 Due to information received from Mr. Millard D. Fairley though, we now know that this pattern actually came from Bangor and Aroostook dining car service. As he tells it, and we don't doubt his account, his grandfather, Millard A. Fairley, Sr, removed an entire set of this exact silverware, and a lone piece of BAR "Aroostook" china, from the last BAR dining car as it came out of service. This revelation actually fits quite well with the known facts about "B&A Broadway" silverware. For one, it always seemed curious, to say the least, that an NYC subsidiary would adopt a blatently PRR silverware pattern!! Further, by the time Broadway silverware was in common use, it would seem like the Boston & Albany had been sufficiently integrated into the NYC proper, that they would have been using NYC-marked dining wares. Third, even though Dominy & Morgenfruh attributed this pattern to the Boston & Albany, they did so with an "*", denoting that actual use had not been established. Considering that there has never been good evidence of Boston & Albany use, in fact, it never made sense, I think that the Fairley's have provided the evidence needed to properly attribute this pattern, for which I offer them my thanks. To the above, Lois-Ann Holmes of Old Town, Me. adds: "I, too, can confirm this was from the dining cars of the Bangor and Aroostook! My maiden name was Wentworth and my father, Leslie Wellington Wentworth, worked his entire career in the offices of the Bangor and Aroostook. He retired in the early 60s as General Freight Traffic Manager. Growing up during the RR era was exciting. We road the Rails often and I was treated like a Princess in the dining cars. This is the silverware I grew up with eating on the train". Thanks to Millard Fairley and Lois-Ann Holmes for setting the record straight on this pattern!